Luis Silberwasser is President of Telemundo Network. He has overall responsibility for the Telemundo broadcast network and the cable channel Universo. Over the course of his career, Silberwasser has acquired a deep understanding of the U.S. Hispanic and Latin American markets, while building global brands and developing and producing extremely successful quality content. Prior to joining Telemundo, he was Executive Vice President and Chief Content Officer for Discovery Networks International (DNI), based in London. He was charged with leading DNI's production and development unit, with the focus on developing global content for Discovery's portfolio of 185 international networks in 224 countries and territories worldwide. 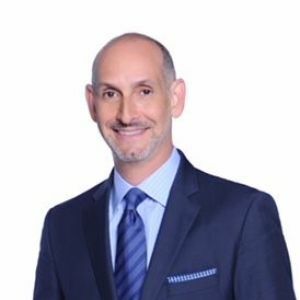 Previously, Silberwasser served as Senior Vice President, Content Group, for Discovery Networks Latin America/US Hispanic, managing programming, production and marketing for the region's 15 channels, including Discovery en Español and Discovery Familia, where he was also General Manager. Silberwasser also held leadership positions in marketing, sales and business development within Discovery's international division. He led new business opportunities as Senior Vice President for Strategic Planning at Discovery Networks International, and served as Vice President of Affiliate Sales for the Latin American division, where he increased distribution for the flagship Discovery Channel. Before joining Discovery in 1998, Silberwasser was Vice President and General Director of the personal care and comfort divisions of Sunbeam Corporation in Delray Beach, Florida. He also served as Brand Manager at Procter & Gamble in Cincinnati, Ohio, where he led top beauty care brands including Oil of Olay Skin Care and Secret Deodorant. Silberwasser holds an MBA from Harvard Business School and a BA in industrial engineering from the Georgia Institute of Technology.